I have often wondered what to do with the abundance of cucumbers each year. I had tried preserving them but found they didn’t keep well and were always mushy! A friend shared this idea with me and it really works! 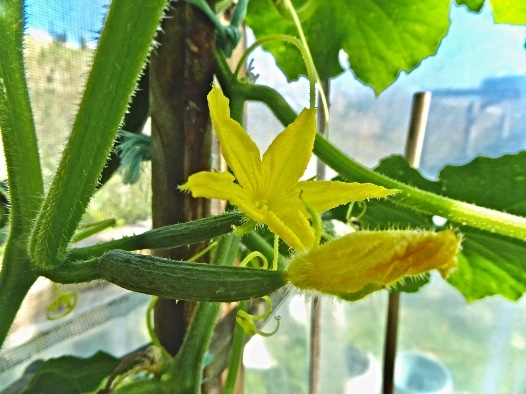 In fact we are still using some of last year’s crop; the cucumbers have remained crisp, spicy and delicious. Have a try, and be pleasantly surprised. about 2 cups of Apple Cider vinegar. More may be needed to top up jars before putting on seals and screw-on rings. Place in a small pot, cider vinegar, honey and some of your favourite spices. Very gently warm this mixture. Do not boil. Fill up each jar with diced cucumber – no need to peel. Carefully pour over the warmed ingredients. Use a clean knife down the sides of each jar to gently ease out air bubbles. Add additional unheated cider vinegar to overflow each jar. Place a clean, not sterilised preserving seal on each jar and lightly screw on a preserving jar ring. Lay out a small clean cloth on the inside of the base of the large pot. Place jars upright in the pot. Fill the pot with warm water so that about 2-3 cm of water covers over the jars. Place lid on. Heat until water is boiling. Simmer 5 minutes only. This ensures the cucumbers remain crisp and not soggy. Carefully remove jars from pot with strong tongs, and place on a wooden board or similar. Screw each preserving ring tightly. Allow jars to cool and ensure each one has sealed properly. Label each jar with name and date.